8 Things To Consider Before You Sell Your Minneapolis Duplex Yourself | Your best resource for buying, selling, owning and investing in duplexes and duplex homes. You may have heard there’s a shortage of inventory on the Minneapolis and St Paul duplex market and as a result, it’s a sellers market. As a result, the thought may have crossed your mind to sell your duplex yourself. After all, if investment properties are such a hot commodity, why not save the commission and sell it yourself, right? Well, have you ever tried to save a little and it ended up costing you a lot? I sure have. And selling your duplex yourself may be like that time. Pricing your property – Unfortunately, the value of your duplex is not determined by the amount of money you have into it, or by the amount you’d like to get out of it. Rather, it is determined by the amount someone else is willing to pay you for it. And even if you found a buyer willing to pay what you want or need, if it’s more than what the market believes it’s worth, a bank won’t lend them the money for it. Value is determined by comparable sales in the neighborhood. Sold properties include Realtors commissions – When determining the value of a property, both buyers and appraisers typically look at comparable sales on the Multiple Listing Service (MLS). All of these sales included commission. So, the true value of your property is the price, minus that commission. Buyers hope to save the commission too – When a buyer works with a Realtor, they are not responsible for paying that agent commission. Rather, it is taken out of the sales price of the property. Buyers benefit from an agents knowledge of the market, experience in negotiations, and guidance throughout the process without paying a thing. Why would they work with a For Sale By Owner unless: a) that owner agreed to pay their agent or b) agreed to pass the savings on to them. You’ll probably pay a buyer’s agent anyway – Chances are a Realtor may see your ad on Craigslist or Zillow and ask if you’d agree to pay a commission if they sell the property to their buyer. This may be somewhere in the range of 2.5- 3 percent, meaning rather than saving 6 or 7 percent, your saving half that amount. You’ll have out of pocket fees even if your property doesn’t sell – Realtors pay the costs of putting a sign in your yard, putting it on the MLS, hiring a professional photographer, creating a virtual tour and all other marketing expenses, regardless of whether or not the property sells. These costs will become yours if you sell the property yourself. What’s more, you may choose to hire an attorney to help you with the paperwork. Attorneys charge by the hour regardless of whether or not your property actually sells. Realtors don’t get paid unless the sale closes. Time wasted with discounters and tire kickers – If someone calls on an ad you placed, you have no way of knowing whether or not they can actually afford your property. And yet, you leave work or your family to show it to them anyway. Sadly, there are a lot of people who can’t afford a property, but simply enjoy looking at real estate who end up wasting your time. Others are discounters, looking to save money by dealing directly with you. They hope either you don’t know what you’re doing, or are desparate enough to simply give them a deal in exchange for being done with it. 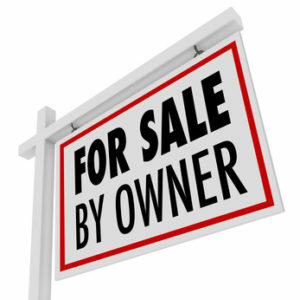 92 percent of all for sale by owners don’t sell on their own – According to statistics from the National Association of Realtors, only 8 percent of all for sale by owners are successful. The rest either listed their property with a Realtor, or decided not to sell. Properties sold using a Realtor actually net the seller 13 percent more than if the owners sold it on their own. Again, according to a NAR study, sellers actually net more money if they use a Realtor than they do on their own. That’s NET; which means after commissions and other costs of selling! If you’ve attempted to sell your duplex on your own, incurring the costs of lost time and money, then end up listing with a Realtor anyway, you may have cost yourself more than you hoped to save? Contact me if you’re thinking of selling your Minneapolis or St Paul duplex.